I saw two films recently, A Single Man and Crazy Heart. I found both interesting, although for very different reasons. At times this film seemed cold and over-stylized to me, yet I ultimately found it oddly moving. The film’s emotional coolness becomes a counterpoint to George’s inner turmoil. 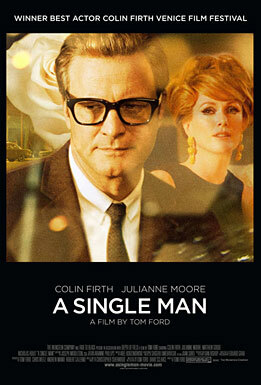 This film is also interesting in that it shows what life was like for gay men in the ’60’s, before Stonewall. In one scene, George is prohibited by Jim’s family from attending his funeral, an indignity that clearly eats at George. 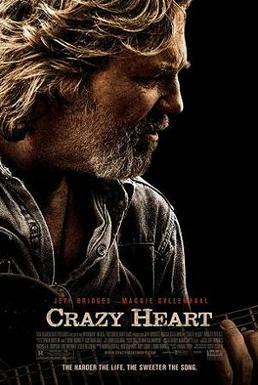 I had heard good things about Crazy Heart, but I must admit I found it a little disappointing. Written and directed by Scott Cooper, it tells the story of a down-and-out country singer, Bad Blake (Jeff Bridges), who falls in love with a single mother, Jean (Maggie Gyllenhaal). The film has funny moments and the acting is pretty good, but somehow I felt as though I had been here before. The story unfolds in a way that is a little too pat and predictable for my taste. However, an early scene in which Blake performs in a dive bar is poignant. It shows the petty humiliations that a person working in show business can experience. The outdoor shots are breathtaking. God, I miss the Southwest. This entry was posted on February 13, 2010 at 8:11 am and is filed under Cinema. You can follow any responses to this entry through the RSS 2.0 feed. You can leave a response, or trackback from your own site.